Over recent weeks, alarm bells sounding caution over Canada’s rising interest rates have been ringing louder than ever. Aside from Statistic Canada’s revelation of softer-than expected GDP growth last year, a study from the Financial Planning Standards Council (FPSC) and Credit Canada found one in five Canadians need to liquidate assets to address their debt this year. And based on newly released research, one group of Ontarians is especially at risk. 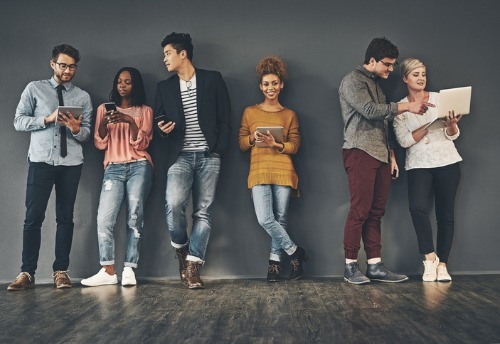 According to numbers released by Hoyes, Michalos & Associates, 37% of Ontario insolvencies in 2018 involved millennials, compared to 35% in 2017. While Ontario millennials carried less unsecured debt than other age cohorts with $35,733, they’re still filing insolvencies at the fastest rate. Doug Hoyes, Licensed Insolvency Trustee and co-founder of Hoyes, Michalos, said that millennials are carrying much more student debt than previous generations. “As more Millennials pass the 7-year limitation for student debt forgiveness in a bankruptcy or consumer proposal, student debt insolvencies rise,” he observed. The number of millennial debtors in Ontario with student debt rose from 26% in 2017 to 31% last year; the average unpaid debt also increased slightly from $13,734 to $14,311. Credit-card debt also went up to a lesser extent, from 86% to 88%, with the average unpaid balance going from $10,956 to $11,716. “What alarms me most is the fact that almost half of Millennial debtors we see use payday loans,” said Ted Michalos, Licensed Insolvency Trustee and the firm’s other co-founder. According to their research, the percentage of millennial debtors with at least one payday-style loan rose from 40% in 2017 to 46% last year. Driving this trend is the wider array of easy borrowing options from payday loan companies and online lenders, who now offer larger short-term installment loans and lines of credit along with advertising lines such as “no documents needed” and “no credit check required.” Michalos called access to quick, low credit-check money through online payday lenders the largest debt epidemic facing millennials after student debt. For millennial debtors using a payday loan, the average balance last year was $4,792 across 4.1 loans. The average payday-style loan size swelled from $920 in 2017 to $1,189 in 2018. Among all millennial fast cash loans, 13% were for $2,500 or more, an increase of 6% over 2017. Payday loan balances were small compared to to student loans and credit-card debt, but the burden for borrowers can increase sharply; traditional Ontario payday loans charge an effective annual interest rate of 390% as of January 2018, and quick cash installment loans for those with poor credit can typically cost up to 59.99%.